The problem with appliances is that they inevitably break down at some point, in major or minor ways. If it’s a really major breakdown, the only option is sometimes to buy an entirely new model. If it’s only one part that is malfunctioning, however, it can often be replaced by a spare part directly from the manufacturer. Appliance manufacturers understand that good business involves taking care of the customer beyond the initial purchase, and that means having parts available for repairs – ideally immediately available, because as anyone with a malfunctioning washer or dryer knows, the sooner the problem is taken care of, the better. The problem is that having spare parts available at a moment’s notice saddles appliance companies with huge inventories of parts that may or may not be required anytime soon. This requires investment in storage space and presents other issues, as well. Often appliance models go out of production, replaced by newer versions, well before customers stop using their older models. Where, then, do those customers turn for spare parts once their machines are no longer manufactured? It’s not always realistic for companies to carry parts for appliances that are no longer in production, which can leave a customer struggling with how to repair an otherwise perfectly good machine that simply needs a single part that is no longer available. On the other hand, if companies carry too many spare parts, they can wind up with excessive amounts of inventory that never gets used, especially once certain products become obsolete. This is a tremendous waste of money and space. So what’s the best solution for both manufacturers and customers? It may be 3D printing. If a company decides to adopt 3D printing for its spare parts, it can eliminate the need to carry physical inventories of parts at all, instead relying on a virtual inventory of parts that can be 3D printed as needed. Even truly obsolete parts can be reproduced by 3D scanning them and creating 3D models that can then be printed. It saves time, space, and money, and allows customers to receive parts within days – if not hours – of requesting them. Singapore startup Spare Parts 3D was founded in order to help companies digitize their spare parts inventories for 3D printing, as well as handling the 3D printing itself for companies that do not wish to invest in 3D printers. Recently, home appliance company Whirlpool agreed to a partnership with Spare Parts 3D. The two companies will work together to scale up the inclusion of 3D printing in Whirlpool’s after-sales services. The partnership initially started in November of 2017, with a pilot project in Singapore that involved 150 parts. The technical feasibility of the project was evaluated by January 2018, at which point Whirlpool gave Spare Parts 3D access to perform a catalog analysis that allowed them to review more than 11,000 SKUs. 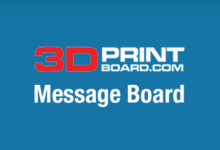 These SKUs were reviewed one at a time through Digipart, a proprietary online software that allows the user to estimate the benefits they would get from using 3D printing and determine which parts would be the most profitable. The review found that seven percent of the SKUs were economically profitable and therefore suitable for 3D printing. The first 3D printed part has already been made: a push button printed in Nylon using Multi Jet Fusion technology. According to Spare Parts 3D, all of the 3D printable Whirlpool spare parts can be produced using three technologies: MJF, FDM and SLA. Five different materials – ABS, ABS V0, PA12, Rubber-like resin, and PP-like resins, will be used to 3D print the parts. While the number of parts being produced with 3D printing is currently limited, the partners expect to deepen their collaboration in the future and 3D print a larger number of parts.